Certainly no name resonates across the spruce and maple boundaries of the classic American guitar like that of John D�Angelico, master guitar builder. Here in personal and cooperative histories, anecdotes, and first-hand accounts, Frank Green has infused the name of the master with life and vitality. Includes a 24-page color section and hundreds of rare photographs. 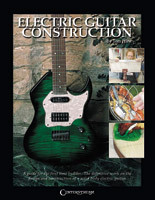 With this definitive book on building an electric guitar, you can create your own axe masterpiece, with the precise finish, the exact pickups, and the custom hardware you've always wanted. Organized logically from start to finish, this helpful guide will assist you every step of the way; from the design and planning stage to the final setup. Also includes a glossary of terms, an index of materials suppliers, and much more! In the mid 50's, Ted McCarty, Gibson's new president, set out to further set Gibson apart from Fender. He wanted to create new designs that did not conform to the basic guitar shape. He wanted something new, something different. Together with a local artist, McCarty worked on guitars that were made up of straight lines, and three new guitars were born � the Moderne, The Flying V and the Explorer. This book delves deep into the history of the Explorer through a myriad of pictures of its versions over time. 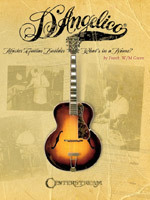 A must have for guitar collectors! Introduced in 1951, the Fender Precision Bass is the precursor of all modern electric basses. 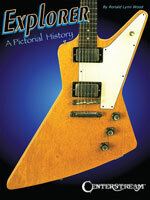 This book takes a look at the history of the "slab body basses" and the most famous players. In addition to many historical photos, the full-color book lists many basses with beautiful pictures, detail shots, and anecdotes. 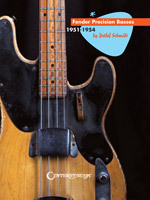 This book is a must-have for every bass player and enthusiast or collector. One of the most bizarre stories in all of popular music is the history of the �Orange Blossom Special,� arguably the century�s best-known fiddle tune. Here revealed is the tale of its feuding owners, Rouse and Wise, and Johnny Cash, who made the song a mainstream hit. This trio�s disparate legacies are here told - and forever linked with the legendary diesel steamliner.